This week Ziada and Mary Ann talk to Emily Waithira Founder of Awali Shea Butter, a business exporting natural organic shea butter harvested in Uganda to Kenya and beyond. 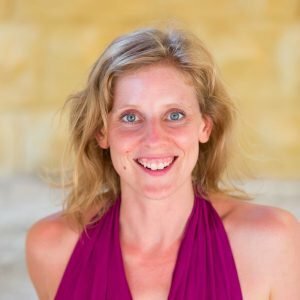 She tells us about the challenges of starting up, the importance of having a Team alongside her and why we shouldn’t let fear of failure jeopardise our dreams. 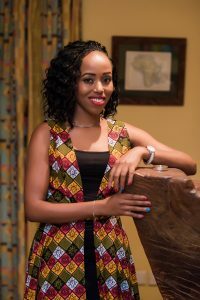 Emily Waithira is the Founder and Managing Director of Awali Shea Butter a company supplying 100% original, pure, organic, raw, unrefined Shea butter from Northern Uganda which is popularly known as Nilotica Shea butter. “Awali” means original in Kiswahili language. Emily has a background in Finance and Business Administration and holds an MBA in Strategic Management. Together with her sister the two registered Awali Shea Butter in Kenya in February 2016 and the business became fully operational in January 2017. They dedicated the interim period towards product research and setting up business structures and systems. Awali regional sales and distribution point is located in Nairobi, Kenya with its production unit in Kampala, Uganda close to where the Shea nuts are collected. Awali Shea Butter is driven by its vision “To be a leading player in the natural care industry in East and Sub-Sahara Africa”. Awali‘s unique selling point is its promise of quality and high standards in the Shea industry which will ultimately contribute to sustainability in the Shea value chain. We have set up the right structures to ensure we can meet this. We sell our Shea butter on both retail and wholesale basis. 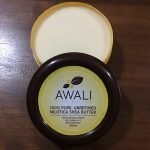 Awali will achieve its vision by proving our customers with premium quality unrefined Shea butter that treats and cleanses your skin and hair at a fair price. We want the market to be aware and benefit from this amazing product that we and our families have proudly enjoyed. This week Ziada asks Mary Ann to tell her all about the work she has been doing around having clear boundaries and how it relates to change making work. We talk about our own experiences of wishing we had more clarity and saying YES when we wanted to say NO and Mary Ann shares more about what the Boundary Challenge, which runs in the Jijaze Community until the end of August. This week on Change Making Women we talk to Majo (Marjorie Angella Athurra) of the Gejja Women’s Foundation in Mpigi in Central Uganda. We hear about her own story, her work with women in her own community and how she is working to end shame and secrecy around menstruation.